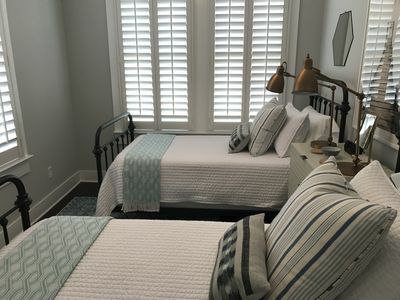 If you're visiting historic Savannah, then you can't beat the ease of staying at one of Southern Belle's historic Savannah vacation homes while on your trip. 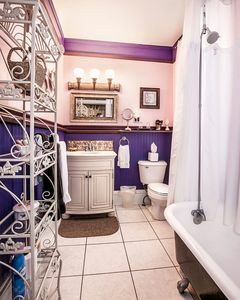 We have many Savannah vacation rentals located right in the heart of downtown as well as vacation rentals near Forsyth Park. 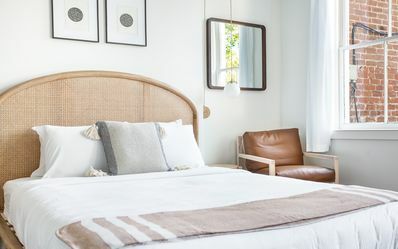 Our historic Savannah homes may look nostalgic on the outside, but inside they are completely outfitted with all the modern conveniences you would find in a hotel. 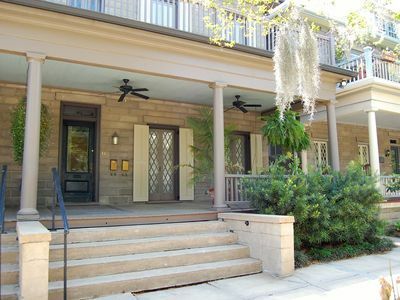 One of our vacation rentals near Forsyth Park is the Southern Exposure property. 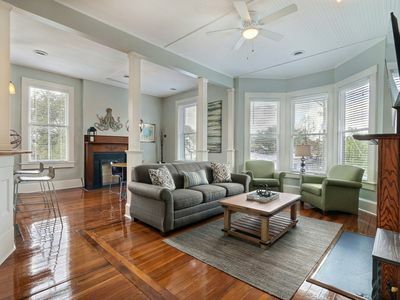 Our historic Savannah vacation homes near Forsyth Park are a great way to put the historic downtown right outside your door and this one is no exception. Forsyth Park is often one of the first stops for Savannah visitors and with this house it's right nearby. 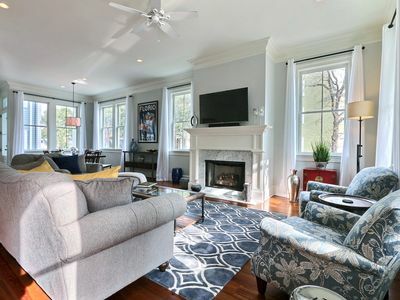 This is a 1,900 square foot Savannah vacation rentals property with three bedrooms and 2.5 bathrooms capable of sleeping six guests. 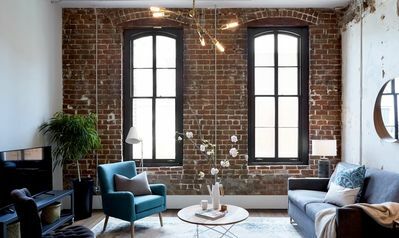 The house has a roomy floor plan with plenty of big, bright windows to let light in. 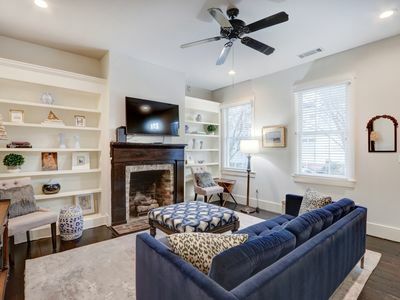 You'll find wood floors and a spacious kitchen with modern appliances and lots of counter space. 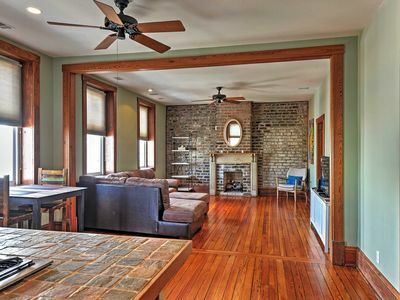 Ceiling fans are located in nearly every room and there's a decorative fireplace in the main living area. 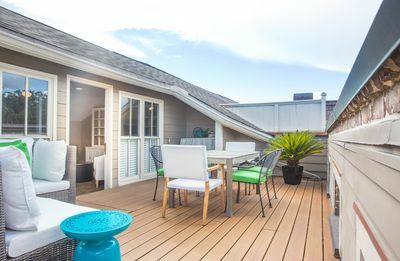 You'll also find a balcony off the second floor that's great for relaxing in the morning or evening and taking in the neighborhood views. A covered porch provides similar atmosphere on the first floor. 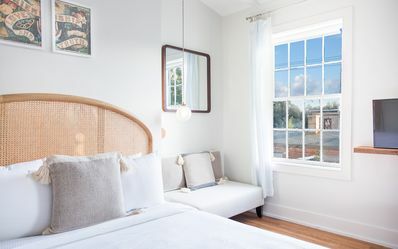 As usual with all of our historic Savannah homes, Southern Belle provides a host of great amenities, including wireless Internet, flat screen TVs, linens and kitchen tools to make your stay more comfortable. 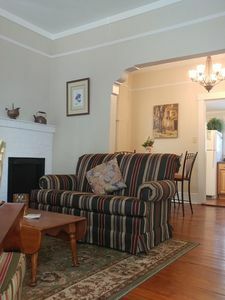 We employ amazing cleaning staff that help ensure our Savannah vacation rentals are in tip-top shape when you arrive. 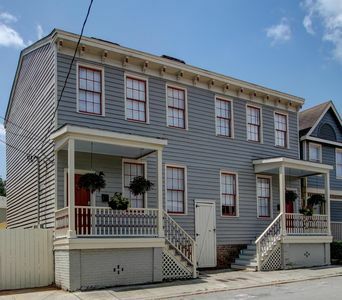 We can also help you find restaurants and things to do near our historic Savannah vacation homes, just give us a call. 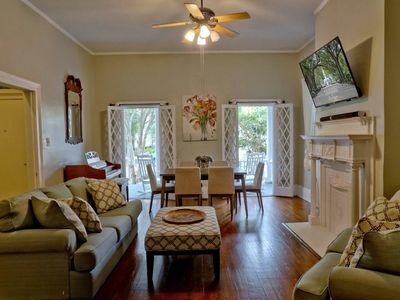 Our vacation rentals near Forsyth Park give you unparalleled opportunities to explore this historic neighborhood. The park occupies the southern corner of Savannah's historic district and it is one of the quieter neighborhoods in the area. The park covers about 30 acres and includes walking trails, places to have a picnic, a cafe, the Garden of Fragrance and the iron fountain centerpiece. The borders of Forsyth Park include Whitaker to the west, Drayton to the east, Gaston to the north and Park Avenue to the south. 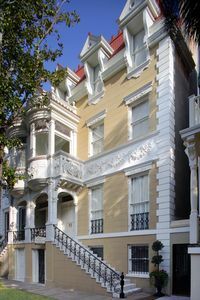 Also in the general Forsyth Park area is Monterey Square and the Mercer House. Both are located a bit north of Gaston Street on Forsyth Park's northern edge. The Mercer House, like Forsyth Park, was featured in the book and film "Midnight in the Garden of Good and Evil". There are a total of 22 squares in historic Savannah, out of the original 24, and all have some historic significance. You can enjoy Forsyth Park during the day, or at night when lights come on at the iron fountain. There are also several restaurants nearby with views of the park. Heading further north of Forsyth Park will take you to the historic River Street area of Savannah. This must-see waterfront promenade is worth an entire day all by itself. There are numerous restaurants along the street, along with tons of shopping and unique gift stores and galleries. You can also find the Savannah Riverboat Cruises here, as well as the Savannah Belles Ferry. Take some time to explore Emmet Park or take a dolphin watching trip with Dolphin Magic Tours. There are numerous tours available in Savannah, from walking tours, to ghost tours to pub crawls, but one of the funnest is the Historic Savannah Carriage Tours, which is also located on River Street. Enjoy exploring downtown Savannah from a horse-drawn carriage and really relive the history of the city. 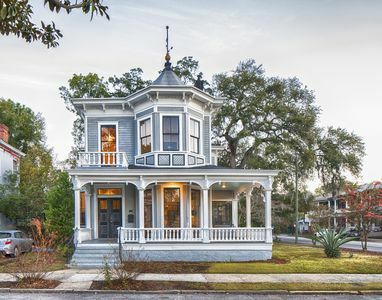 Booking one of Southern Belle's historic Savannah vacation homes is a snap. Simply give us a call or use our online booking system. 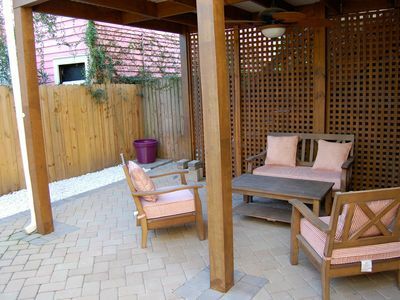 Make your vacation better today with one of our Savannah vacation rentals. 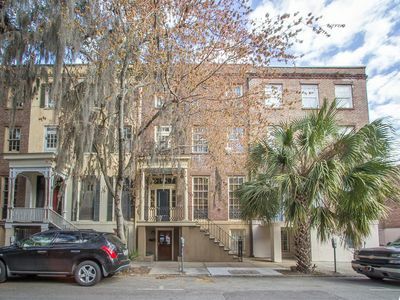 Historic Savannah Condo w/Downtown Location! 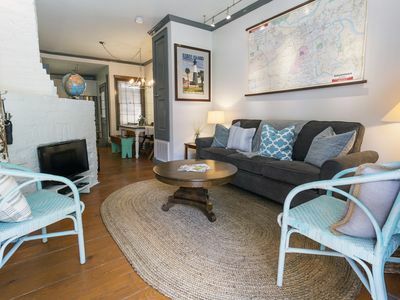 Stay with Lucky Savannah: Luxury Studio on Square, Walk to Everything! 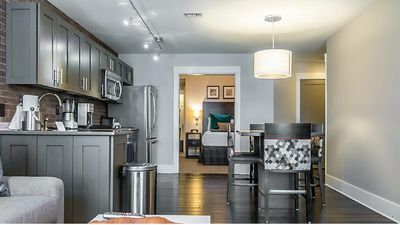 Stay with Lucky Savannah: Renovated studio close to Forsyth Park! 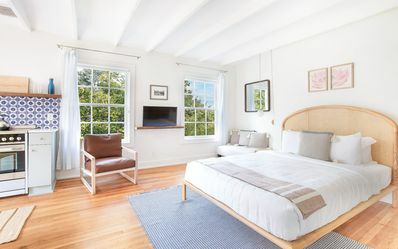 Stay with Lucky Savannah: Light-Filled Studio Amongst the Oak Trees, Balcony!